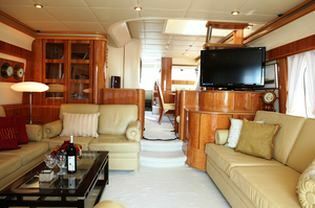 Motor yacht RED SEA is a well maintained Princess 22 motor yacht measuring 22,00m (72' 2"). 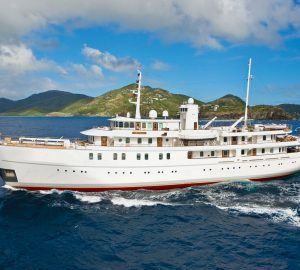 M.Y RED SEA was built in 1998 and was completely refurbished in 2009. 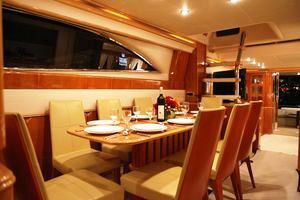 The charter yacht is available all year round in the Red Sea, with a home port of Eilat Marina, Israel. 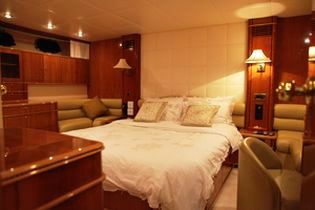 The Princess motor yacht RED SEA can accommodate up to 8 guests overnight and 12 guests cruising. The cabin configuration consists of a Master cabin with ensuite bathroom, a VIP cabin with ensuite bathroom and 2 twin cabins with a shared bathroom. There is a Plasma TV/DVD/CD player in every cabin. 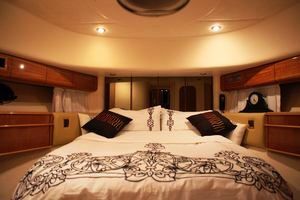 Motor yacht RED SEA has an experienced crew of 3 with local knowledge to ensure a top class charter experience. 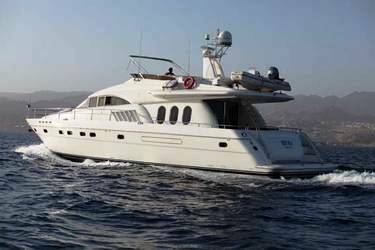 The Princess 22 motor yacht RED SEA is based in Eilat Marina, Israel with fabulous beaches, Israel, Jordan, Egypt, at the doorstep. Many attractions such as Jerusalem and the Dead Sea (which is 2.5 hours from Eilat Marina) Petra, Wadi Ram, the Monastery of St Catharine and Sinai desert are within easy reach. The marina is just 10 minutes from the airport and the location is ideal for charters year round. M/Y RED SEA can attain speeds of 18-27 knots thanks to her twin MTU 1150 hp engines. 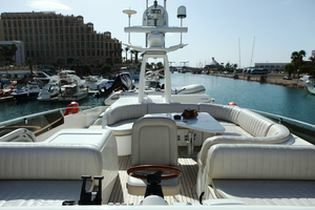 Princess motor yacht RED SEA has the following Tenders & Toys: A 3.90 m 35 hp Zodiac tender, a Kayak and Tubes. Communications include VHF mobile phone. Audio Visual Equipment and Deck Facilities include Satellite TV/home cinema and music player in the salon. There is a Plasma TV/DVD/CD player in every cabin.